Find the right babywearing option for you and your wee one. We’ve researched today’s best baby carriers and narrowed it down to the top eight. We reevaluated last year’s picks, eliminating some and adding a few new options based on comfort, price, carrying positions, materials, style, and user reviews. 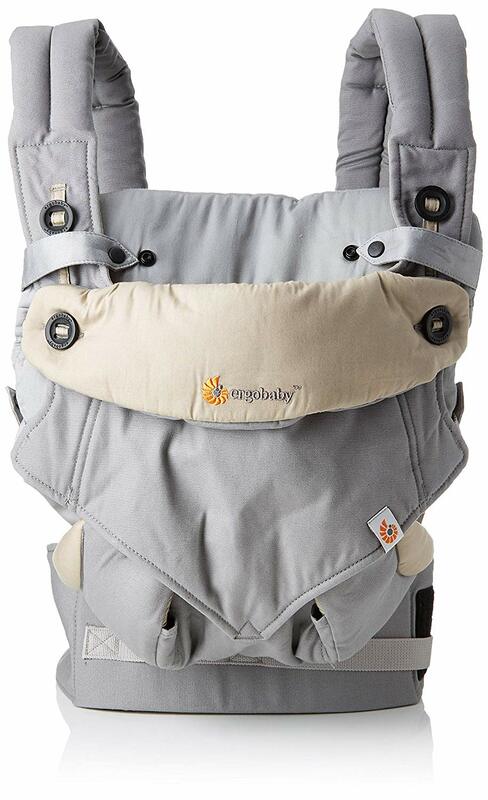 This adjustable carrier is at the top of our list because it meets all your basic baby carrying needs for a fraction of the usual price. Designed with infants and older babies in mind, this carrier lets you carry your little one on your front in an inward- or outward-facing position, as well as on your back. It includes a bib to protect you and the carrier from spit-up, and it’s machine washable for those inevitable diaper blowouts. The biggest caution is this carrier isn’t as comfortable as some of the pricier models. If you’re wearing it for very long periods of time or to soothe your baby, it might not work for you. This extremely comfortable carrier requires an insert for infants, but parents say it’s worth the extra cost. Comfort was something many reviewers noted for all four carrying positions, regardless of the length of time it was worn. This carrier also includes a hood to cover a napping baby. Durable and washable, the Ergobaby Bundle can be used from your very first days with your newborn into early toddlerhood. The biggest drawback is that it has no pockets, so you’ll have to carry another bag for even small things like your car keys. It does come with a higher price tag too, and some parents with shorter torsos mentioned it was hard to adjust for a good fit. This is the classic carrier that started them all. 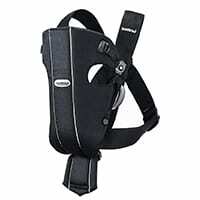 Lightweight and affordable, the BabyBjorn is also highly rated for how easy it is to put on and adjust. But keep in mind that it doesn’t have any pockets, so you’ll have to grab a bag to carry things. And it isn’t designed to wear for long periods of time. If you’re planning on wearing your baby for more time than it takes to walk the dog or pick up some groceries, this isn’t the right carrier for you. 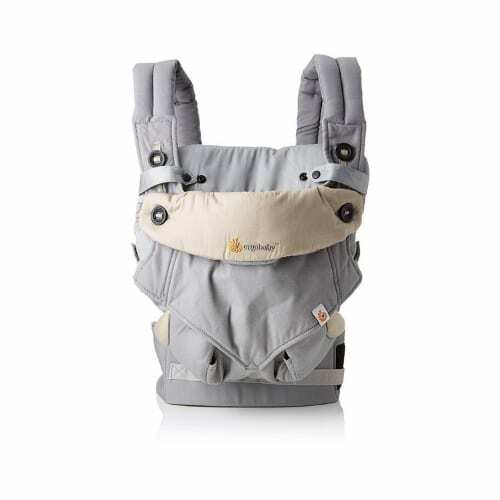 But for quick errands requiring free hands, this carrier is the easiest to get on and off. With six carrying positions, a wide weight range, and pockets for storage, this carrier is an excellent choice for babywearing. It also boasts a wider belt for better lumbar support and a mesh design for breathability. The All Seasons does have a high price point, though, and it’s bulkier than most, so it may be harder to keep with you when you’re on the go. Boasting the comfort and breathable fabric of a wrap with the ease-of-use of a carrier, the Baby K’Tan is the best of both worlds. 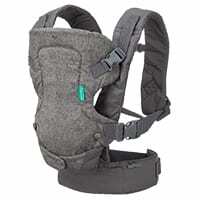 Rather than being designed around the baby, this carrier is sized for adults with wide, comfortable shoulder straps, and it holds the baby close to the body for support and structure. Out of all the carriers, this is the one that makes breastfeeding while carrying easiest. Be sure to check the adult sizing chart to make sure you get the right fit. The easiest to use traditional wrap on the market, the Boba Wrap is great for those seeking a more classic babywearing style. This wrap will make it easy to breastfeed in public and soothe colicky little ones. It’s also very affordable and washable, so you don’t need to be afraid to use it every day. It will stretch out over time, so it may not be the best fit for toddlers or larger babies that require more support. One of the few carriers that supports twins, the Moby wrap is widely known and used. Like other wraps, it easily accommodates breastfeeding and the fetal tuck for infants. It’s also easy to launder. The biggest drawback is that this wrap is long. Sometimes that extra fabric will get in the way, and it does make it harder to learn to use. This wrap is a great choice for the mom that wants to maintain her style while wearing her baby. With lots of bright color and pattern choices, the CuddleBug baby wrap is fun and inexpensive. It’s also shorter than other wraps, so it works best for younger babies. It can be a little confusing to use at first—we definitely recommend watching the video to get the hang of this wrap. What’s the difference between a wrap and a sling? Slings are a variation on a wrap that usually have a hoop securing the fabric across the shoulder. You won’t find any slings on our list because many experts consider them a safety concern. They can be used inappropriately and can position the baby in a way that makes it difficult for your little one to breathe. How do I know that my baby carrier or wrap is safe? Babies require a lot of support, and their needs are ever-changing. Baby carriers and wraps are designed with this in mind, and they’re safe to use as long as you follow the manufacturer instructions. Manufactures are required to follow these safety guidelines that were issued by the US Consumer Product Safety Commission in 2017. 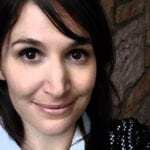 Do baby carriers cause hip dysplasia? Hip dysplasia (a misalignment of the hip joint) is a common concern for parents who use baby carriers. Most infant carriers and wraps hold babies in positions that are natural to their hip development and will not cause problems. But the best way to find out what will keep your baby’s joints safe is to check with your doctor. Which baby carriers are best for lower back pain? Pregnancy and birth can do a number on your body, especially your spine. If you’re a parent that has lower back pain, make sure you look for a carrier that has a snug and wide lumbar support strap. Also, talk to your doctor about exercises that will strengthen your core muscles, so you can avoid further back pain while carrying your baby with or without a carrier. I’ve watched the videos and I still can’t figure out my wrap. What do I do? Parents who love their wraps will tell you that there’s a steep learning curve. We recommend watching video tutorials, reading the instructions a few times, and practicing as much as possible. Babywearing International’s Guide to Using a Baby Carrier can also be helpful.